$7.50 TigerChef Round Gold Beaded Rim Glass Charger Plate 13"
$7.50 TigerChef Round Silver Beaded Rim Glass Charger Plate 13"
Let your guests feast their eyes on the beautiful TigerChef Rose Gold Round Beaded Charger Plate 13". 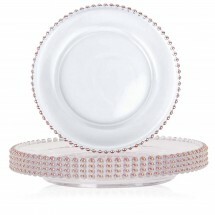 This clear glass charger plate, with a delicate rose gold colored beaded border, will adorn your finest dinnerware and give your tabletops a decorative and elegant look. 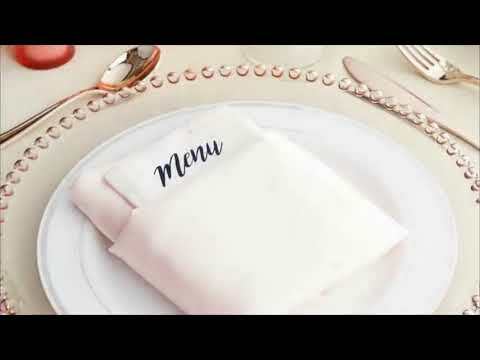 Designed for decorative purposes, it will help you gracefully transition between courses while protecting the tabletops from spills and messes. Thanks to its clear glass construction, this charger plate is highly durable and easy to maintain. Simply wash by hand and dry immediately for best results. 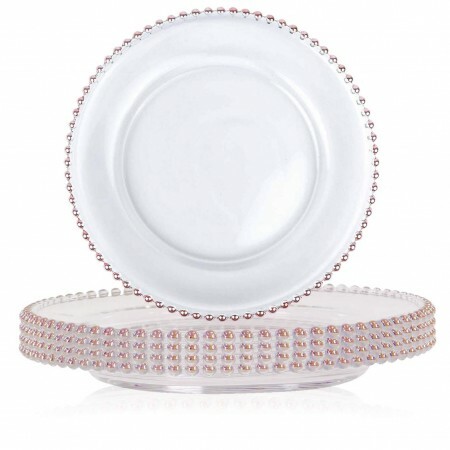 Perfect for weddings, anniversaries and other festive occasions, this dainty charger plate will last for years in your catering establishment.